Multi use snowshoe with a live action hinge. Great for Walking, hiking, fitness, running, and backpacking. 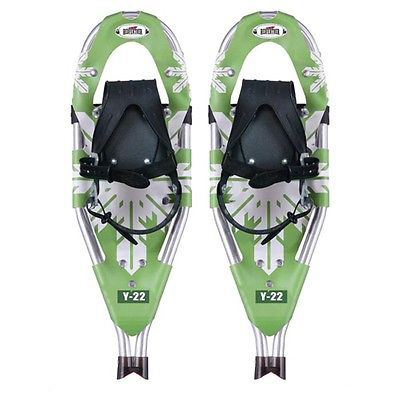 More durable than traditional snowshoes. YOUTH Bindings, easy to use kids binding stays snug. FRAME: Aluminum tube with V tail design for natural stride.